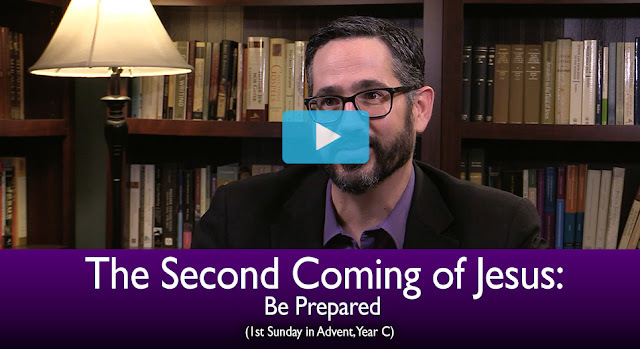 With the new liturgical year upon us, the 1st video for the Mass Readings Explained, Year C is now out for this upcoming Sunday (the 1st Sunday of Advent). Check out this series here (it has a 14 day free trial), and you can watch an intro to this week's video below. "…[Y]ou’ve probably had this experience — if you’ve ever read the lives of the Saints… The power of their ability to convert souls to Christ, to draw people to Jesus, flows out of the fact that they’ve been engaged in spiritual exercises, right. There not just lounging about; they’re not just laying about. They’re trying to grow every single day in holiness, in prayer, in fasting, in reading the word of God, in teaching and preaching."